Here is her most recent work, her first sculpture called A Subtlety, or the Marvelous Sugar Baby, an Homage to the unpaid and overworked Artisans who have refined our Sweet tastes from the cane fields to the Kitchens of the New World on the Occasion of the demolition of the Domino Sugar Refining Plant, which was held last year at the Domino Sugar Factory in Brooklyn, NY. Man….I wish I could’ve seen this! 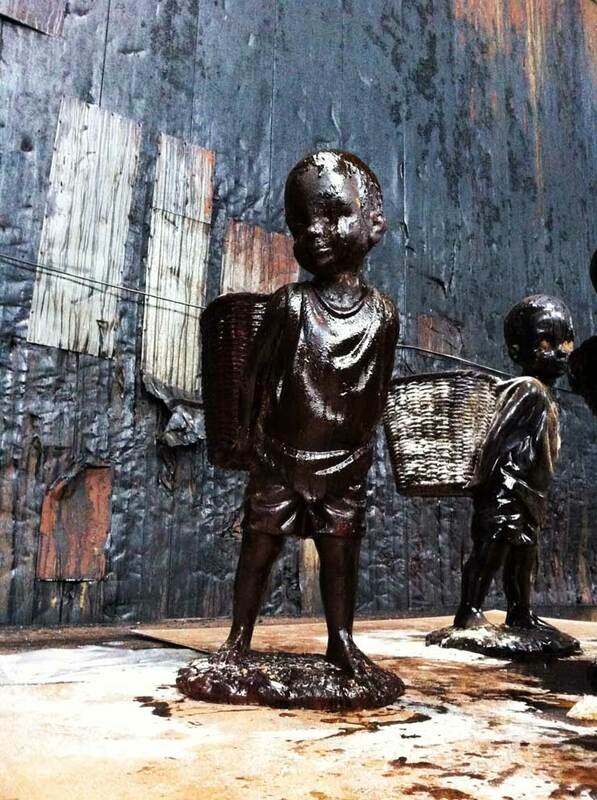 Kara Walker‘s sculptures made in molasses…..courtesy of Jaime Rojo/Huffington Post. 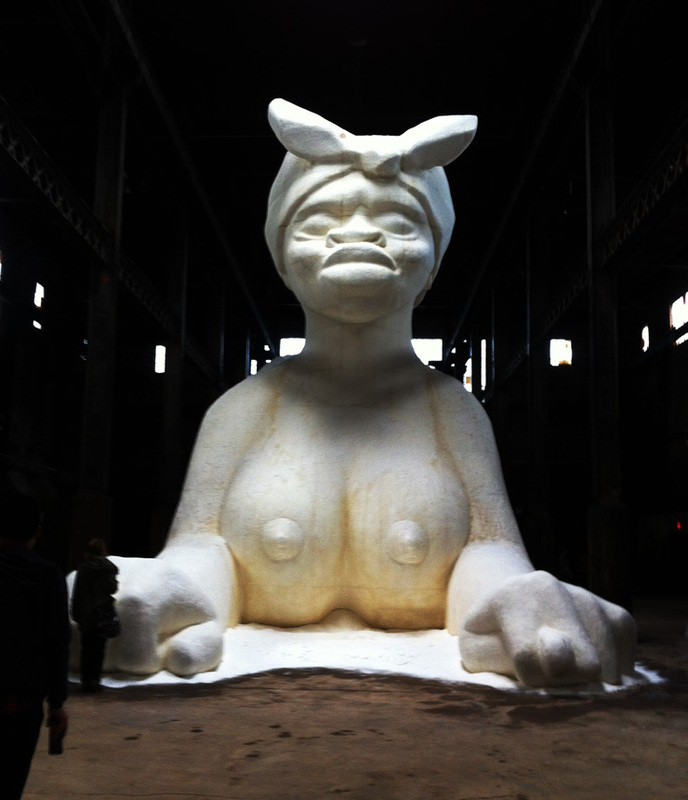 The Sphinx in sugar….by Kara Walker. Courtesy of Jaime Rojo/Huffington Post. I hope you loved this feature. You can visit the Walker Art Center website at: learn.walkerart.org/karawalker. If any of you went to this exhibition last year, feel free to share all about it. Till next week!